A unique collection of 320 Endogenous Metabolites for high throughput screening (HTS) and high content screening (HCS). • Autophagy . 2019 Mar 25:1-17. • PLoS Biol . 2018 Oct 18;16(10):e2006483. • ACS Appl Mater Interfaces . 2019 Mar 20;11(11):10554-10558. • Mol Cancer . 2019 Apr 10;18(1):85. • J Autoimmun . 2019 May;99:39-47. • J Autoimmun . 2017 Jul;81:120-129. • Br J Pharmacol . 2019 Mar 15. • Acta Biomater . 2018 Oct 1;79:317-330. • Brain Behav Immun . 2019 Feb 18. pii: S0889-1591(18)30641-X. • Glia . 2018 Feb;66(2):256-278. • Cell Death Dis . 2019 Apr 15;10(5):331. • Cell Death Dis . 2019 Feb 13;10(2):142. 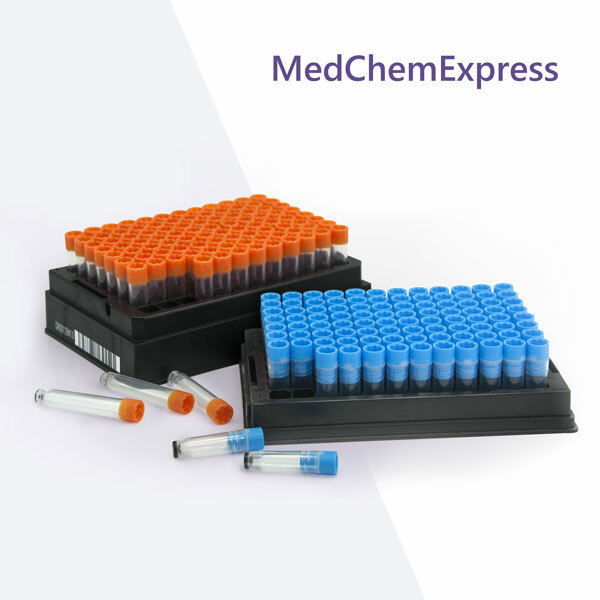 • A unique collection of 320 human endogenous metabolites for high throughput screening (HTS) and high content screening (HCS). • The compounds derived from human issues with better bioavailability. • A useful tool for metabonomics and metabolism-related drug discovery. • Structurally diverse, bioactive, and cell permeable. • NMR and HPLC validated ensure high purity.